An emotional tribute to the late Kato Ottio was a timely reminder that losing a close game of football was just that - a game. The Ottio family is still grieving over the loss of a son and brother that would have celebrated his 24th birthday on Tuesday, March 20. 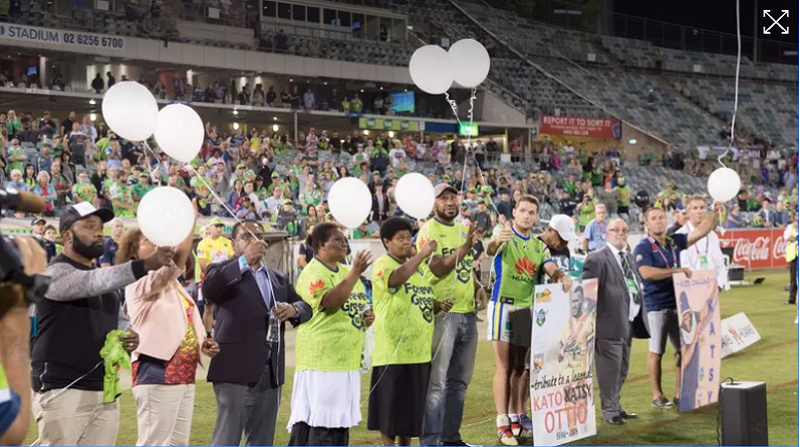 Moments after the Canberra Raiders suffered defeat at the hands of the Newcastle Knights at Canberra Stadium on Sunday, the two clubs combined to pay tribute to Ottio. Ottio died of heatstroke in January, two days before he was due to fly to England to join the Super League's Widnes Vikings. 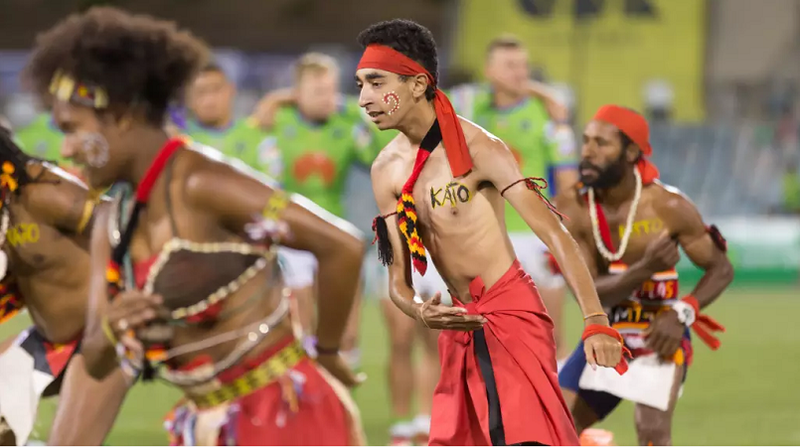 The 23-year-old didn't play an NRL game for Canberra, but the Papua New Guinean flyer spent two years with the club and had an infectious smile loved by everyone around Raiders headquarters. 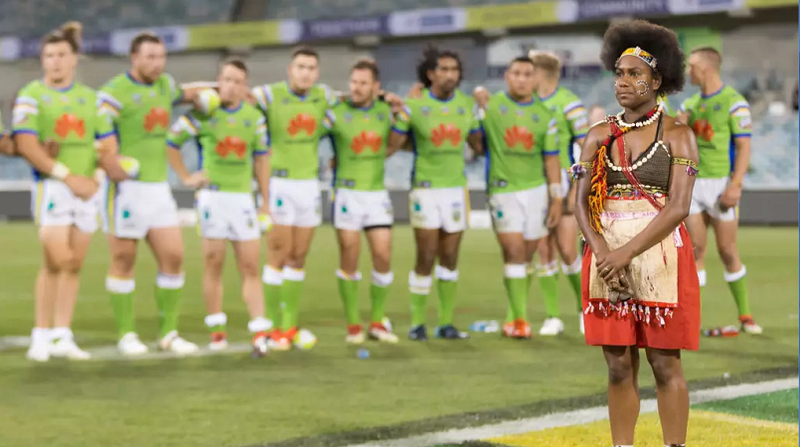 The Raiders flew Ottio's his mother Joyce and siblings Ahulo, Opao and Helai to Canberra for the Knights game, with both teams staying on the field post-match for a memorial service led by the Capital Wantoks. Ottio's brother Ahulo says the family has been overwhelmed by the outpouring of support offered by Raiders chief executive Don Furner, the club and its fans. "[Kato's] life was almost a bit fast but he had a good head on him. The thing that resonated with him throughout his whole playing career was humility," Ottio said. "He didn't like to go out to the shop anymore because it was too much, people always wanted to get photos with him. He was okay with it but he was just a shy guy. "He would go out of his way to make life good for other people. Seeing them smile was his own satisfaction. It is really good to come out here. "Mum wakes up every morning since Friday, she is in Canberra, she cannot stop crying. She walks the streets thinking 'my son walked here'. Coming here you couldn't stop this lady from crying. "Thank you to Newcastle too. They were not obliged to stand out there with the Raiders. It was something special, so thank you to Newcastle and the Raiders players for doing that." Raiders coach Ricky Stuart was one of many rocked by Ottio's sudden passing, and the memorial service put another close loss into perspective. "It puts things into perception doesn't it," Stuart said. "Sitting here with our tail between our legs because we've lost a game of football again by two points. It was something I was really taking in out there when I was standing there and I have his family beside me who are still grieving. "That's what our club is about, about looking after our own. It's a wonderful gesture from Don and Jason [Mathie] to do that for the family. "It puts life into perception when you're losing a game of football towards what has happened to that poor family." Ottio went from "suburban league" to being picked by Mal Meninga for the Papua New Guinea Prime Minister's XIII squad. Within two years he was playing for PNG at the World Cup. Ahulo Ottio says the family "all shed a tear" at Canberra Stadium, the same ground his brother played at with NSW Cup club Mounties. He says the family's "one regret" is "not being here when he was playing" because they wanted him to focus on playing. Instead, they "looked forward to every Christmas break when he would come over and talk to us about meeting these guys that we only watch on TV". 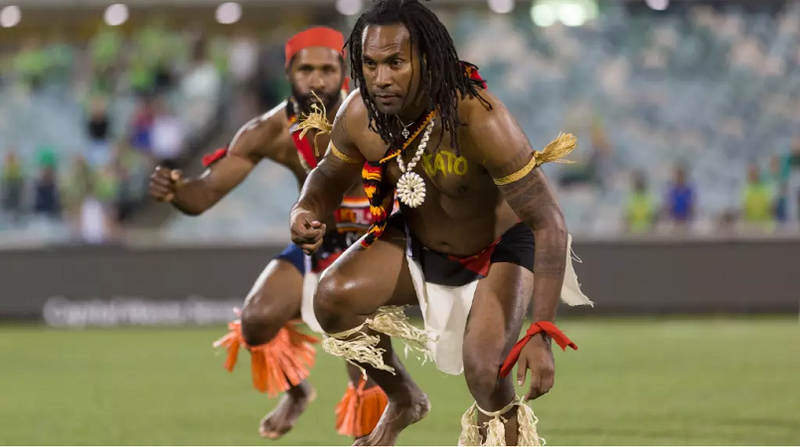 The Raiders will again pay tribute to Ottio with a cultural jersey bearing his name to be worn by the NRL side in round 10 against the Cronulla Sharks. The match-worn jerseys will be auctioned off and the proceeds going towards the Kato Ottio memorial fund, set up by the Raiders in a bid to realise his dream of buying his mother a house.